I think (for what it's worth) that in the late 50s/early60s, amps were placed at the front of the stage. At least that's what we did! With open back cabs like the pictured one, it wasn't a problem, as the sound came out of the back.Also, it was slightly better for on-stage noise, as there wasn't too much of it. So, we could see and operate the controls.But soon after, everything was turned up to 11, so looking wasn't a problem either. Things changed with closed backed cabs, and, let's face it (or not) a wall of 4x12s in front of the players wouldn't look that good! 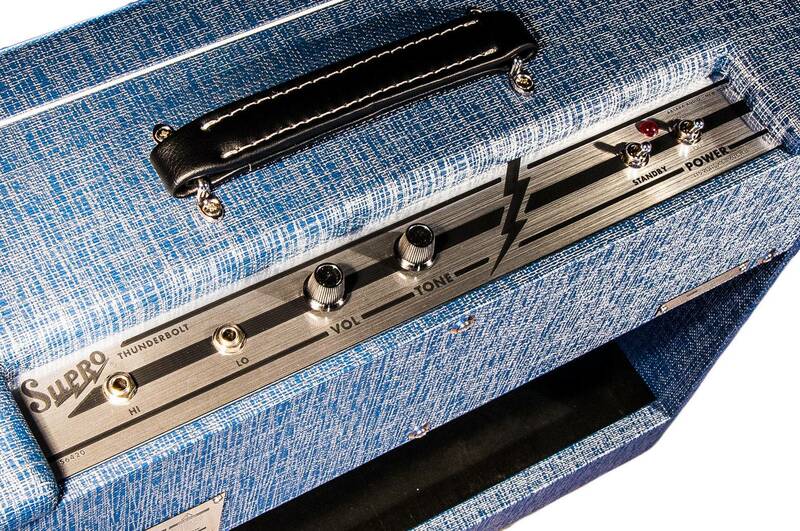 Some amps are intended to be heard by performers; others are intended to be heard by the audience. If a performer is using an amp along with a PA system, then it should generally be placed for the performer's benefit. If the performer is using the amp as the PA system, however, it may be more helpful to have the amp between the performer and the audience, facing the latter. Not the answer you're looking for? Browse other questions tagged guitar speakers or ask your own question. How can I connect speakers to my POD 2.0 and get a good sound? Is there some type of classical guitar strings that have uniform tone across all six? Why are speakers howling when a microphone comes in front of the speaker boxes? Why do guitar amps only use one type of speaker cone? How do you play the down and up strums for syncopated strumming for the guitar?